That sounds about right, given the recent turn of events over the Protect Intellectual Property Act (PIPA) and the Stop Online Piracy Act (SOPA), both of which are now more than likely gone from the legislative calendar for this year. 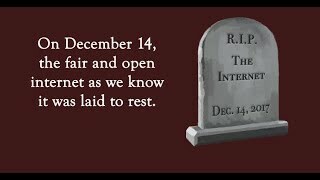 After all, the Internet community is basking in the newfound adulation as a result of the apparent defeat of the dreaded PIPA and SOPA. Commentators are talking about the rise of the influence of the Internet in Washington and watershed moments. Jan. 24 was supposed to have been the day on which the Senate would have voted whether to proceed with debate on PIPA. Because of the widespread opposition to PIPA, the vote was cancelled, and it was no certain thing the legislation would have moved forward. That first sentence to that news story was published on Sept. 24, 2002, which is why it’s time to cut the Internet community’s victory laps short. It is certain that the normal Washington powers that be suffered an embarrassing defeat. They didn’t see it coming as the wave crested over Washington, and they weren’t particularly gracious in defeat. Indeed, MPAA Chairman (and former U.S. Senator) Christopher Dodd, in remarks he may wish he could “revise and extend” in the tradition of editing the Congressional Record, sounded more like a churlish Godfather than a diplomatic trade association executive. Those weren’t the smartest remarks made during the debate, but they were the ones that consistently rang true. After all, power in Washington is used to exercising power, absent some unusual event. It’s sort of like Newton’s First Law of Motion, “a body in motion will stay in motion unless acted upon by an outside force,” as applied to D.C. Blackout Day and related activities were an “outside force,” all right, but was it the “watershed” moment it’s being portrayed? In the short term, SOPA and PIPA were stopped, perhaps for this year, as a result of dedicated activities on a number of fronts from a number of angles. Inside Washington, groups like Public Knowledge worked to combat SOPA, PIPA and its predecessor, the Combating Online Infringements and Counterfeits Act (COICA). Progressives and conservatives, business and non-profits came together. Outside of Washington, online organizers also got out the word about the raft of terrible bills, culminating in the Blackout, which got the attention it deserved from Congress, along with millions of signatures on petitions and tens of thousands of calls and visits to Congressional offices. The problem presenting itself, however, is how, or even whether, that level of effort can be sustained – particularly the ultimate event. And it will need to be sustained, if history is any guide. The Digital Millennium Copyright Act was passed in 1998, including the notice-and-takedown provisions and safe harbors that have worked well even today. It wasn’t long before the discussion started about how the law was out of date. 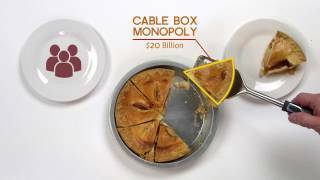 So in 2002, the first of a seemingly endless series of bills popped up, the “Consumer Broadband and Digital Television Act of 2002,” which took a stab at trying to prevent digital distribution by requiring protection against copying in any device that could access copyrighted digital works, including the “broadcast flag” which would have limited recording of over-the-air broadcasting. The 2002 news story was about the Hollings bill. Here's a good short history of some of the bills. There are lots. In 2004, there was the “The Inducing Infringement of Copyrights Act of 2004,” which contended that certain technologies were tantamount to “inducing” infringement. Public Knowledge and others criticized the bills for, among other things, targeting technology rather than behavior. Also in 2004, the “Protecting Intellectual Rights Against Theft and Expropriation (PIRATE) Act” passed the Senate, allowing the entertainment industry to use the Justice Department as its private law firm to enforce copyright law in civil, as opposed to criminal, cases. PIRATE was one of eight intellectual property bills grouped into one omnibus that year alone. That package didn’t pass, but the Senate kept trying and by 2007 came up with a winner in the Prioritizing Resources and Organization for Intellectual Property Act of 2008 (Pro-IP Act) which brought back the DoJ as civil lawyer meme and also had harsher allowances for seizure of equipment, like computers, if there was suspected infringement. It was signed into law on Oct. 13, 2008. Industry leaders lauded the bill, saying it would create thousands of jobs and even help curb terrorism. And here we are again, starting in September, 2010, with the introduction of COICA, followed by its progeny, PIPA and SOPA last year. So now you see why the victory laps need to be cut short. There are only so many times that an event of that magnitude can be organized, only so many times that the extraordinary amount of public outrage can be harnessed. On the other hand, there is no limit to the amount of times industry lobbyists will keep coming back with more bills that are supposed to solve the problem that bills passed just a couple of years earlier were supposed to solve. Regardless of what happens with SOPA and PIPA, the movie and/or recording industries will be back with another bill, if not later this year, then next and the year after. Certainly there are groups in Washington on the lookout for those bills, and to work against having them pass. But simply because of the odds involved, some will pass, as Pro-IP did. Not all can be stopped as SOPA and PIPA were. That’s the reality – a pessimistic reality to be sure, but a reality. In the old days, the “threats” from technology evolved, from digital TV to peer-to-peer file sharing, to the Internet generally, and now to cloud storage companies like Megaupload. Of course, the “threats” go back farther, to dual-cassette recorders, which allowed copying. The track record of the entertainment industry suing devices out of existence is legion. Before the iPod, there was the Rio, which few consumers got to use because it was sued out of existence, and the videocassette recorder, which consumers did get to use because Sony won its case in the U.S. Supreme Court. At each turn, there are threats made and outlandish, unproven, predictions of job losses and economic despair that will be caused by the newest technology. At some point, then, it would be nice if Congress stopped and tried to figure out for real, and not from the figment of the Big Media industry’s imagination, what exactly is the problem. What unauthorized access of works goes on? As importantly, what is the relationship between that and any economic results? Then, and only then, can appropriate remedies be rationally discussed. Retail stores suffer theft all the time. Is everyone who goes into a dressing room strip-searched? No. What measures are taken are appropriate for the problem. The same level of appropriate behavior is needed here. Figure out the problem, then determine the solution. So Web community, bask briefly in your glory. Then get back to work, because the next industry-sponsored bill to curb technology will be here before you know it, and they might be smarter next time about how they pursue it.